A couple of weeks ago I entered Lana from Fashion Fake's 100 follower giveaway and to my surprise and delight I won. Lana sent me this gorgeous package of gifts in absolutely gorgeous packaging as you can see. So thank you Lana so much I am thrilled to bits. 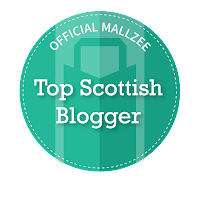 I would have posted about this sooner, however, I wanted to have the chance to sample the products properly before reviewing them. First up we have these absolutely fabulous lip glosses from the Anatomicals range. I was so excited when I saw these as I am a big fan of that brand. They have some really great products. I have so far only tried the 'Snog me Senseless' Only because I wanted to see what the tingly sensation was like (not because I wanted to do some snogging) though, I did give Dave a peck on the lips and he agreed it was very tingly. I haven't tried 'Stop Cracking Up' yet but i'm positive i'll like it too. Can't go wrong with this brand. 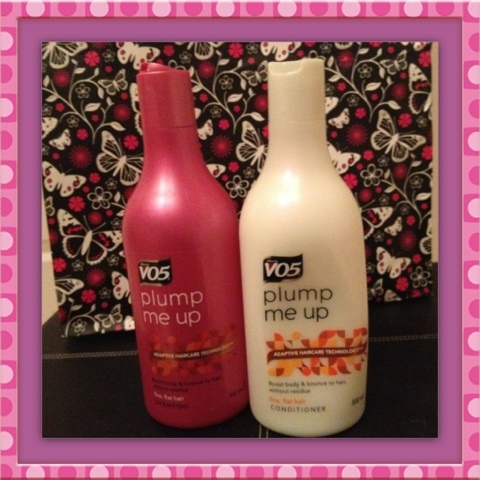 Next we have VO5 'Plump me Up' Shampoo & Conditioner and very generously the large bottles - this will last me ages. I love the VO5 range because my hair smells like i've just been to the hairdressers each time I use it. 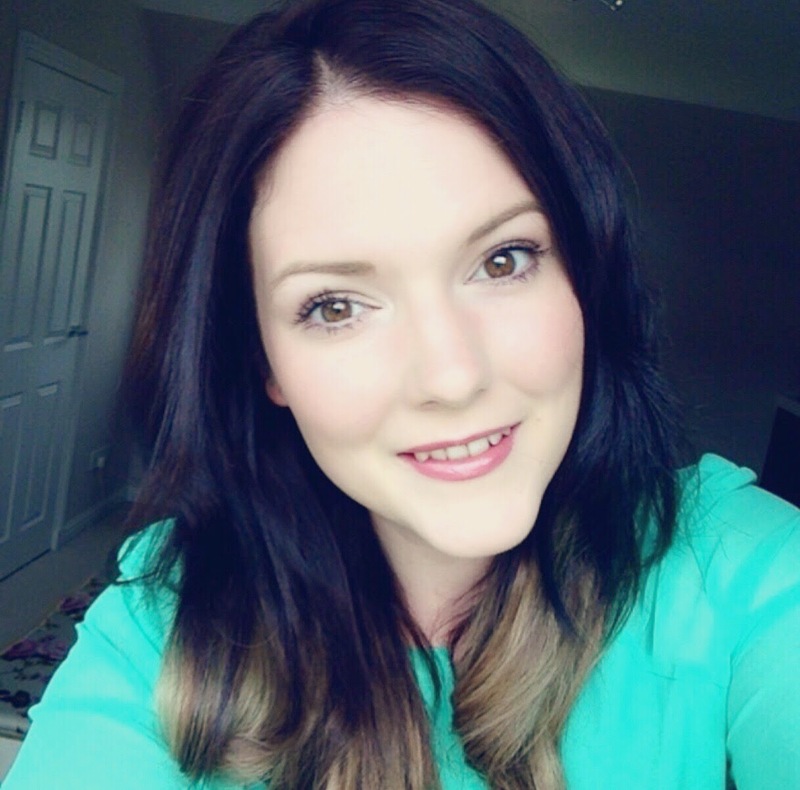 I've enjoyed using this S & C this week, my hair has been brought back to life full of volume and bounce. 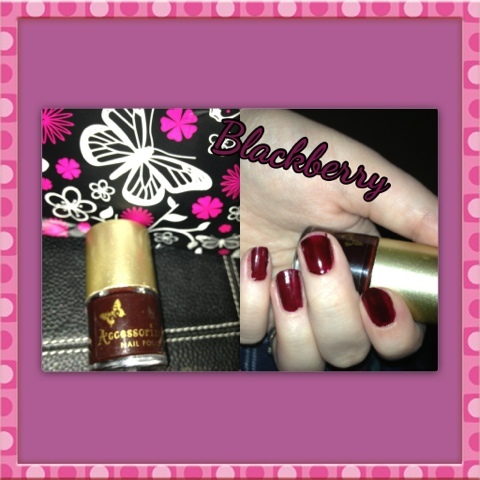 This gorgeous nail polish is from Accessorize in a wonderful Blackberry shade, great for a night out. 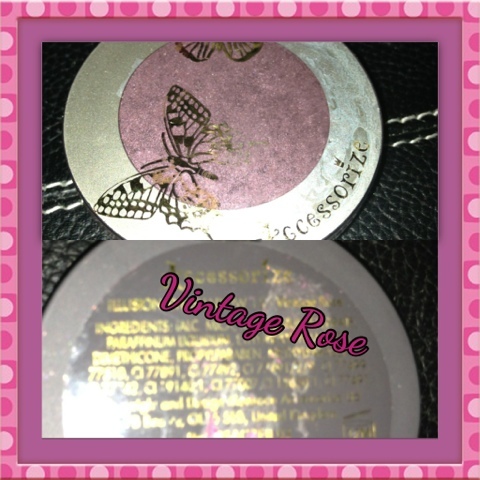 The nail varnish coupled with this Accessorize eye shaddow in Vintage Rose goes really well. This eye shaddow has tons of pigment to it, so you only need a little amount at a time. I tried this out one evening at home but haven't yet had an opportunity to wear it out. I have a masquerade party next week, I may use it for eye make up in case I decide to take the mask off. 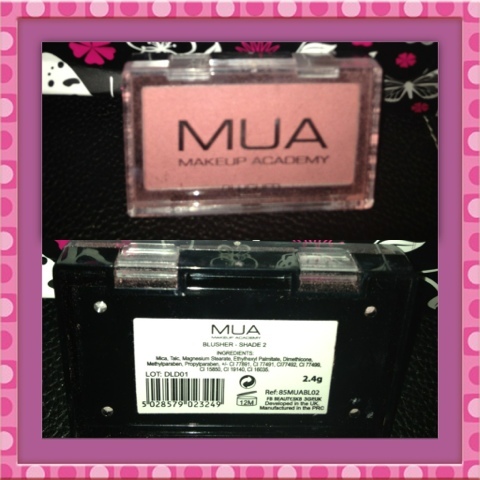 The next few items are the best of MUA's summery pink shades - absolutely gorgeous. 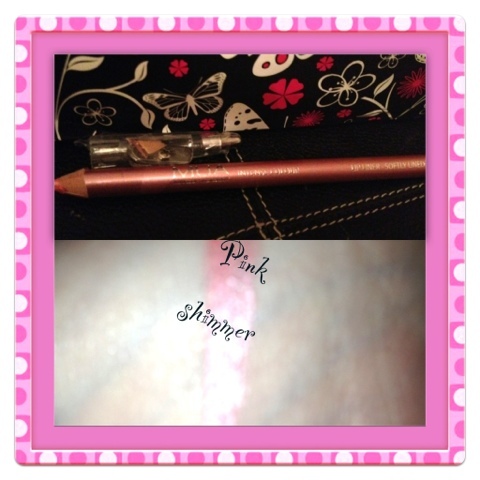 This lovely lip pencil is very light pink in colour, I love how the lid to this has a built in pencil sharpner - so handy!! This blush is really gorgeous, a lovely pink summery shade and again very pigmented - will definitely be purchasing more of this when it runs out. Only thing I will say is be careful where you are using it as it seems to break off easily onto the brush (if you know what i mean, becomes a bit dusty? pink specks everywhere) if you aren't careful it will end up over your cream bedroom carpet! Luckily i got it out no problem. And to compliment the above products we have the MUA lip gloss. 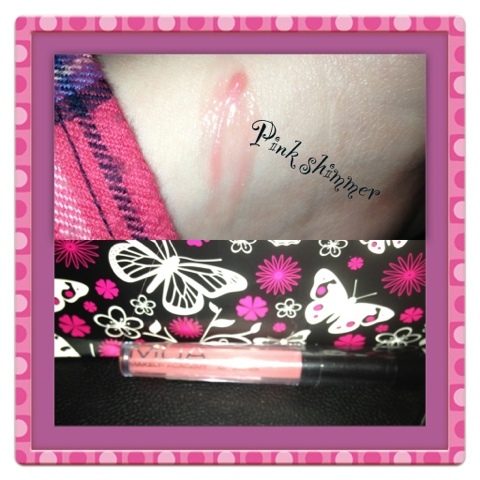 As you can see from the swatch it is another pink shimmery colour however, when you put this on your lips it is somewhat transparent, It is handy to put over your regular lipstick to add some shimmer to it. I must also add that this product smells gorgeous. It smells like butter scotch - I LOVE BUTTERSCOTCH I must have been sniffing it for about 5 minutes trying to pin point what smell it was...MMMmmmMMmm yummy. Last but not least - Impulse!! 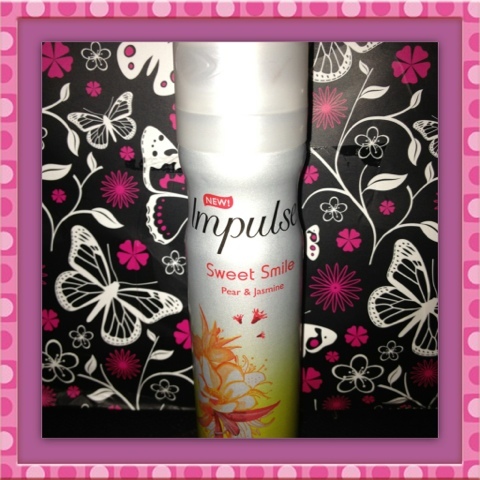 I don't know about you but I have adored Impulse for years must be a nostalgic thing as it was the only thing I could afford as a teen before I could afford the decent perfume brands. I remember buying this along with So? and Charlie. Anyways, I quite frequent the Impulse shelf in the supermarket because it is a really nice daily body spray to carry in your hand bag for those moments when you need to freshen up. This is such a lovely floral scent perfect for the end of the sumer months as we enter into Autumn. Again another one i'd definitely purchase myself. What were your favourite products as a teen? Well that brings me to the end of my Prize Haul, if you haven't done so already please nip over and show Lana some love. Oh! 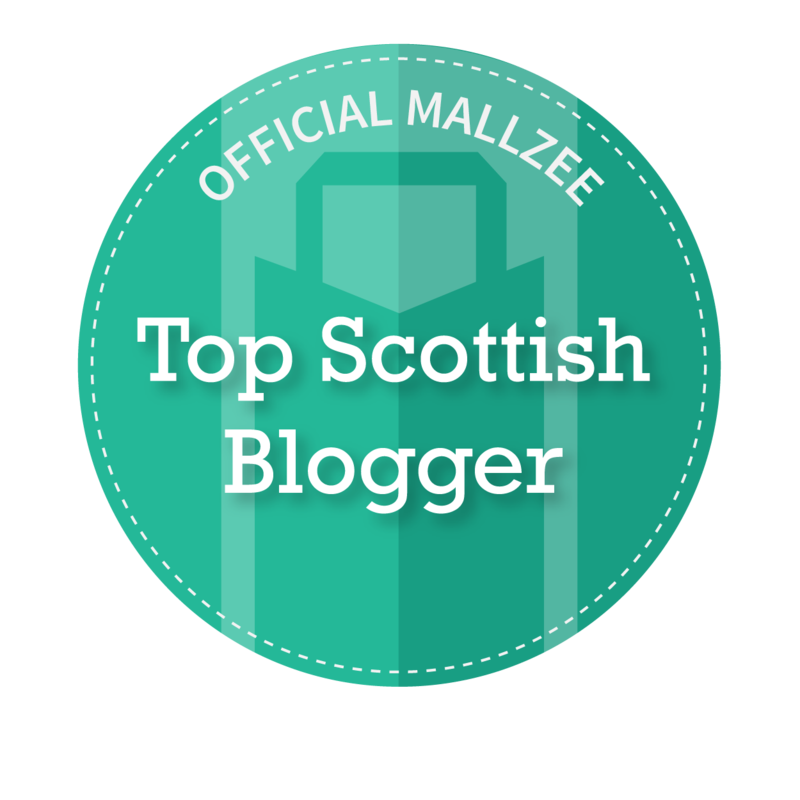 I must add, Lana has very kindly written a guest post for me so check back over the weekend to read it here. Awh glad you liked the products sweet! I absolutely love the colour of the MUA blush, but I know what you mean when you say it gets everywhere! I bought the Impulse Pear & Jasmine the other day, I absolutely love it, definitely my favourite spray from them so far!